Queen Victoria Place Restaurant is the perfect place to enjoy a relaxing lunch in this historic, pub-style atmosphere. 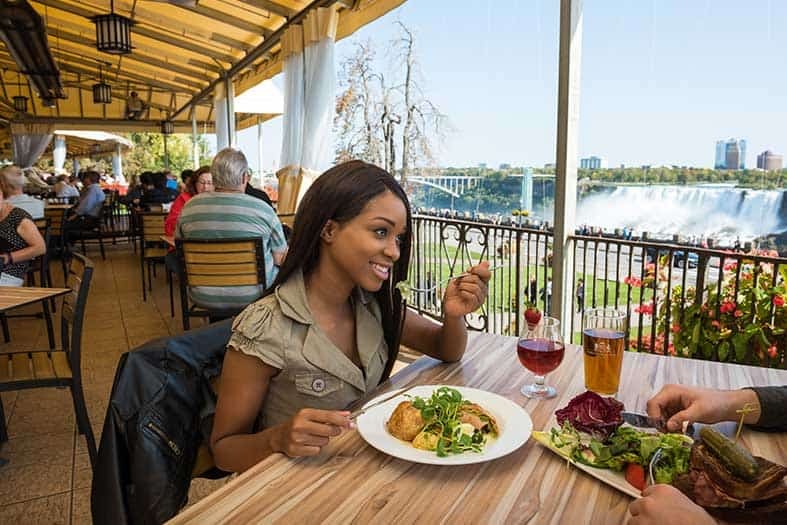 Located in Queen Victoria Park, and part of Niagara Parks take in panoramic views of both the American and Horseshoe Falls from the dining room or terrace. 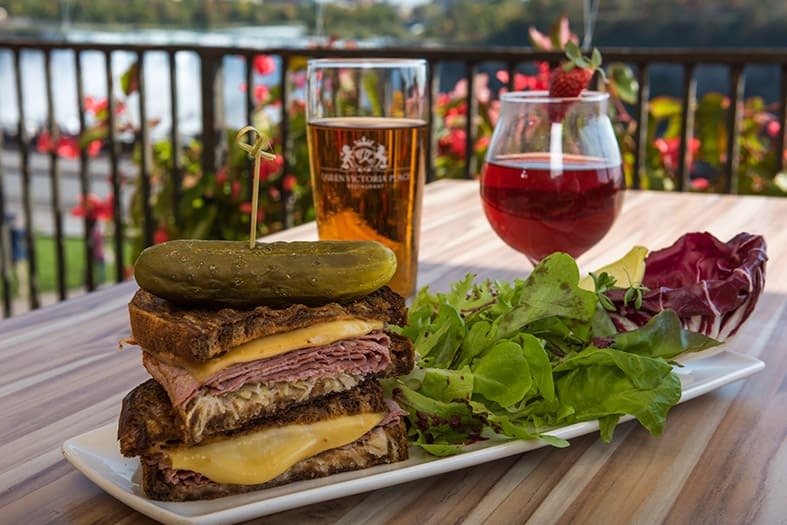 With a fun and relaxed atmosphere, Queen Victoria Place Restaurant features casual pub-style fare created with fresh local produce and ingredients. 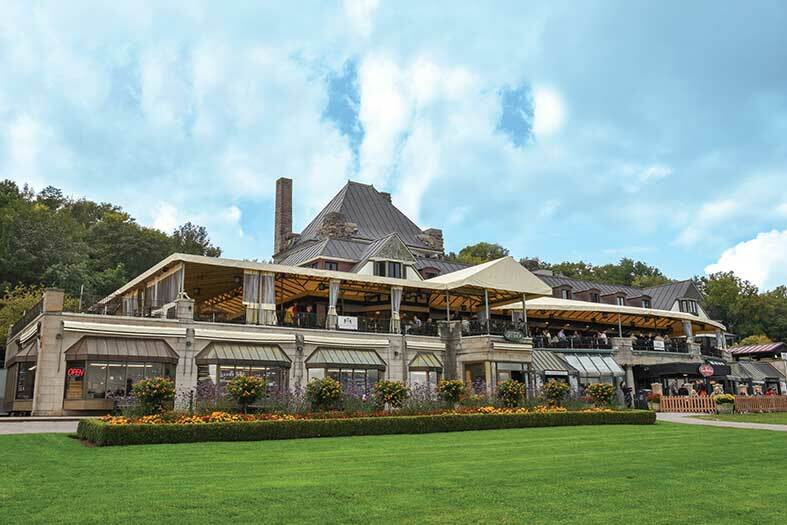 Offering both indoor and outdoor dining, our terrace is the perfect vantage point to enjoy free concerts and fireworks throughout the summer. Feast ON, a program by the Ontario Culinary Tourism Alliance, certifies restaurants that are champions of Ontario food and drink. By dining at Queen Victoria Place Restaurant, you help to support the many growers, producers and craftspeople that make up the province's strong food and agricultural sectors. The "Certified Taste of Ontario" badge shows locals and travellers alike that we are committed to showcasing Ontario's unique tastes of place. You can learn more about the Feast ON program on their website.